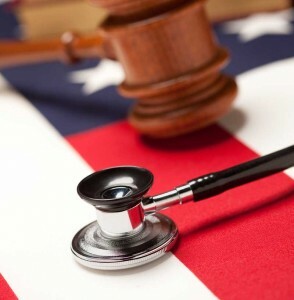 Employers: Will You Face Penalties Under the ACA? Which employers could face a penalty? What constitutes a “full time employee”? an employee who is employed an average of at least 30 hours of service per week with an employer. When is a policy considered “affordable”? What is an official “offer of coverage”? The offer can be made electronically. An employee’s election of coverage from a prior year that continues for every succeeding plan year unless the employee affirmatively elects to opt out of the plan constitutes an offer of coverage for purposes of the employer penalty provisions. My business is exempt. Can I offer health insurance, anyway? Offering benefits like health insurance is a great way to ensure that your business is attracting the best possible employees. Many employees would rather work for a small company, where they can have a greater impact, but are often deterred by lack of benefits that big companies offer, like health insurance, life insurance and sometimes even pet insurance. And being exempt from the group health mandate can actually put you at an advantage when shopping for employee benefits. Companies that employ fewer than 25 full-time employees and whose average wage is less than $50,000 are eligible for tax credits, which may encourage them to offer health insurance to their workers. There are many different online calculators that small businesses can use to determine whether or not they are eligible for any tax credits (here, for example).